American Heart Month reminds us to take care of one of the most important organs in our body – the heart! Many of us strive to follow established recommendations for a healthy heart. Do regular physical exercise. Eat healthy foods. Minimize salt. Cut down saturated fats. These are all good for your health but, there’s one thing many of us are unaware of: excess sugar intake can contribute to heart diseases. Sadly, many of us are simply focused on cutting intake of cholesterol, fats, oil, and the likes. Ask anyone around about what they know as the cause of heart diseases; you’ll surely get fat and oil as the most common response. 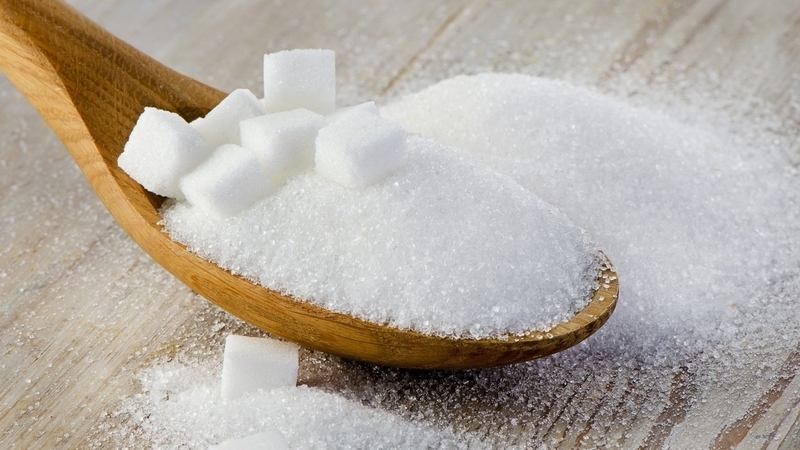 Rarely, do you hear someone consider sugar as a reason for cardiovascular conditions? According to the Centers for Disease Control and Prevention, heart diseases continue to be leading cause of death for both men and women. It kills about 610,000 Americans every year and accounts for 1 in every four deaths. For several decades, incidences of heart diseases and deaths due to heart diseases were blamed on saturated fats. While it’s true that fats are the leading causes of heart diseases, as proven by numerous clinical trials and studies, excess consumption of sugar also contributes to this silent killer. But why is it that cholesterol from fats is the only dietary item considered as the cause of cardiovascular diseases? It is because our current medical knowledge is based on a flawed research published some fifty years ago. A report published in JAMA Internal Medicine in September 2016 revealed how the sugar industry used its clout and money to influence many of today’s dietary recommendations. A researcher at the University of California, San Francisco discovered documents that show how the sugar industry paid Harvard researchers to say exactly what they want to hear: Fat is the main culprit in heart diseases, not sugar! Review papers, especially those published in reputable journals, ultimately shape the overall scientific discourse and public health policies. For many years, health officials have been advocating a reduction in fat intake in the fight against heart conditions. The singling out of saturated fat has resulted in a low-fat, high-sugar diet of Americans, which today is blamed for the obesity crisis. Now that the “beans are spilled,” public health officials are tasked with educating people on reducing carbohydrate and sugar intake. The American Heart Association, the World Health Organization and other health authorities are in chorus in warning the public about the harmful effects of too much sugar in your diet. According to an article published by the New York Times, reducing dietary sugar intake resulted in a dramatic improvement in heart disease markers. The study found that cutting sugar intake can significantly reduce fat, protein and cholesterol numbers linked to heart disease. It further strengthens the findings of a previous study that implicates added sugar as a contributory factor to heart diseases and metabolic disorders. It also supports the findings of a major study published in JAMA Internal Medicine that found that a sugar-laden diet increases the risk of death due to heart disease even if you aren’t obese. The biggest sources of sugar in the American diet are sugar-sweetened beverages such as sports drinks, energy drinks, and sodas. These highly addictive beverages account for more than one-third of the added sugar Americans consume. Some of the other sources of sugar include pastries, ice cream, fruit drinks, candies, frozen yogurt, and cereals. Aside from increasing the risk of heart diseases, sugar is also blamed for other major health concerns: cavities, weight gain, and “empty calories” – something that nutritionists frown. These revelations that shake the research community call us to act now. While a reduction in dietary intake of saturated fat remains a cornerstone of a healthier life, we should also minimize intake of sugar. By doing so, we take the fight against heart diseases to a higher level.